Helen Kagan, PhD. is a holistic therapist and artist. She believes that art heals and the world is now in dire need of the positive and empowering energy that can be conveyed through artistic expression. Her style and technique are based on the concept of “Healing Arts” which brings together the Art of Healing as well as Fine Art which she puts on canvas by using high­ frequency colors charged with positive intentions and embedded spiritual messages so that the viewer gets an energetically balanced piece that is said to enhance well­ being. 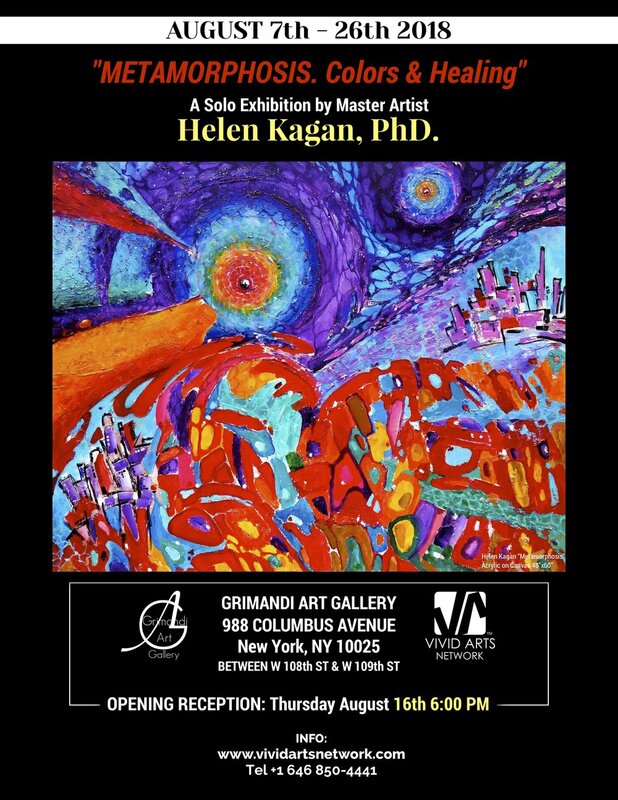 A Solo Exhibition by Master Artist Helen Kagan, PhD.